MUCH HYPE SURROUNDED the Social Democrats during the election campaign with the strong performance of Stephen Donnelly in the TV debate and the party’s focus on public service investment seemingly appealing to many voters. It secured 3% of first preference votes nationally and all three of its leaders were re-elected, topping the poll in each of their constituencies. Its other 11 candidates polled strongly, some going very close to winning seats. But despite winning tens of thousands of votes all across the country, the SocDems have stood still in terms of Dáil representatives. It did at least win the battle of the new parties with Renua wiped out completely and facing an uncertain future. The SocDems are here to stay, according to those in the party we spoke to today. “I am feeling very strongly that what the SocDems have built and what we have achieved in a very short space of time needs to continue,” senator James Heffernan, who missed out on a seat in Limerick, said. We’ve to carry on and we’ll be back, bigger, better and stronger for the next time out and the next time out we won’t leave any stone unturned and there will be no denying us next time out. Despite this Heffernan believes it wasn’t a great election for the party, saying it should have been out “scrapping and fighting”. He criticised the three leaders, who famously said they sat drinking a lot of coffee while formulating plans for a new party last year. They became too insular and too much coffee was drank at too many coffee tables, instead of being out and scrapping and fighting. That’s where our weakness was. Ready for a second election? Gary Gannon, who came painfully close to winning a seat in Dublin Central only to lose out to Maureen O’Sullivan in a stunning turnaround, disagreed, saying it had been a good election for the party. “We got our message across, we are building a strong position. We’ll be ready for the next election, whether it’s in three weeks or five years,” he said. The Social Democrats only ran 14 candidates with some voters saying they would have voted for the party had they a candidate in their constituency. But with little or no money to run the campaign, resources were thin on the ground for the party. Tom Louwerse, assistant professor in Political Science at Leiden University, said it was a question of what it could achieve in terms of vetting candidates and choosing to run them where their support was concentrated – all in a short space of time. As they gained most support in urban areas, it made sense for them to concentrate there. It would have cost probably quite a bit of effort and money to run candidates in a large number of constituencies, while these candidates would have been without viable prospects of winning seats. Shortall said her party were “offering something very different” to the message being put out by the main political parties. She said people on the doorsteps weren’t talking about taxes and cutting them, but about the disarray of public services. The party went for the risky move saying they would not cut Universal Social Charge (USC). Shortall said the public understood that cutting taxation would mean that public services would be starved of further funding. While in the one TV debate the party participated in many felt Donnelly came out on top. He made strong points about the bother businesses have to go through to get supports and hit out at the “faux outrage” being expressed on stage and around the country for nurses, doctors and guards. The re-election of Donnelly (Wicklow), Catherine Murphy (Kildare North) and Róisín Shortall (Dublin North-West) was to some extent based on each politician’s strong personal vote and brand. Murphy has been in politics for over 25 years, but it was her handling of the Siteserv issue that pushed the TD to the forefront of people’s minds last year. She’s also been pretty vocal on one of the key election issues for many voters - Irish Water. 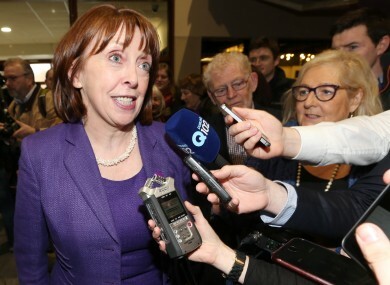 Shortall is formerly of Labour and said on Saturday, and on many other occasions, that she had no choice but to resign from the party on “grounds of principle”. She left government in September 2012, where she was a junior health minister, following differences with the then Health Minister James Reilly over the allocation of primary care centres in his own constituency. Donnelly became a TD in 2011, the first time he put himself forward for election. While Donnelly doesn’t have a career in politics behind him, it was his competency in economics that impressed voters last time around. After five years in the Dáil he seems to have impressed, as he has topped the poll in his constituency of Wicklow, exceeding the quota by nearly 3,000 votes. The trio have shared the leadership since the party was founded. This arrangement will now be reviewed in the coming months, but could remain in place. The party has no formal membership structure so it’s unclear how any change would be implemented. With just three TDs the SocDems will have no speaking rights in the Dáil. Heffernan suggested his three party leaders should look to form a speaking group with independents such as Katherine Zappone and Thomas Pringle ,as well as the Greens. I am 100% against the SocDems going into government, not with Fine Gael, Fianna Fáil, the Labour party or Sinn Féin. Gannon said the focus now had to be on building a constituency structure across the country. He said a quick second election would be “great” but added that it would not be enough time to grow the party sufficiently. “For the party as a whole, if we want to run 40 candidates and that’s not going to happen in the next three months,” he said. The party now qualifies for state funding and Heffernan believes it will be allocated around €175,000 of taxpayers’ money annually based on its share of the vote. Email “Did the Social Democrats really have a good election? ”. Feedback on “Did the Social Democrats really have a good election? ”.